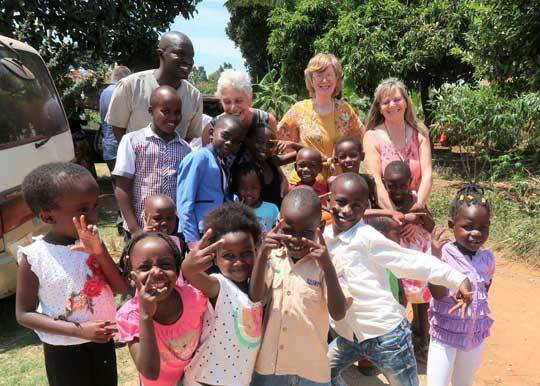 On Friday 29th March a team of five from the UK arrived in Uganda at the invitation of Godly Living Minisitries International (GLMI) to run a teaching programme just outside Kampala. 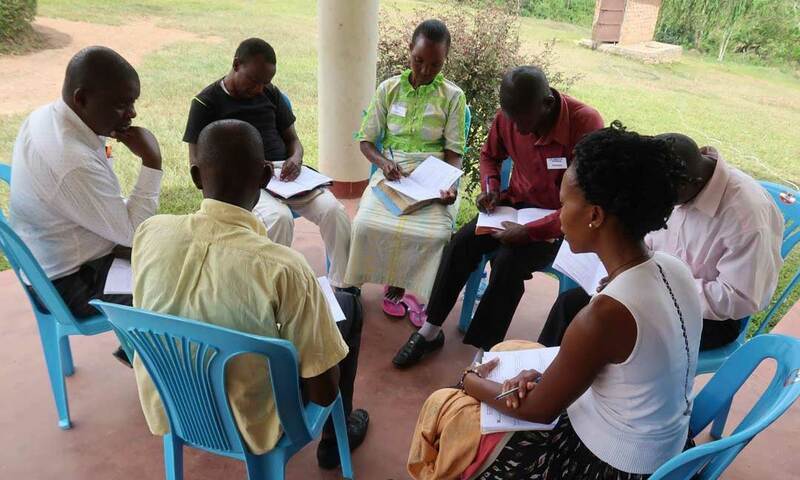 Spiritually hungry Ugandan pastors and leaders came to be trained. Delegates from certain neighbouring countries attended alongside their Ugandan counterparts. It’s been a wonderful day. 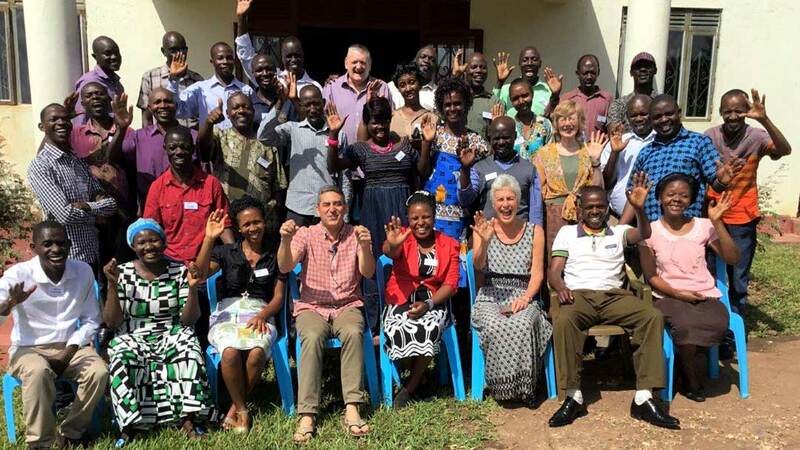 60 local pastors and church leaders attended for the day’s teaching which was on ‘The River of God’. All the teaching was well received, the delegates were so responsive and hungry for the Word. 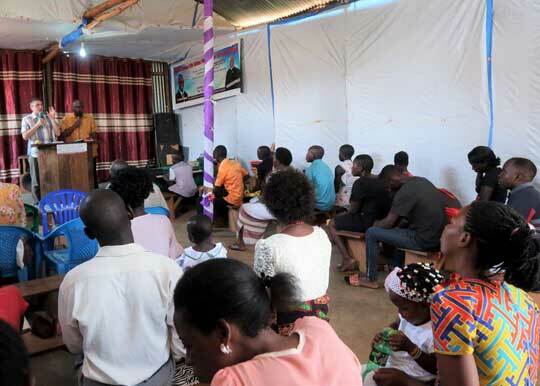 Today we went to Pastor Africano Magyezi’s church on the edge of Lake Victoria. They are wonderful and humble people and it is always a joy to be with them. Pastor Robert brought the Word which was spot on. God wanted to woo His people and God touched everyone. After the preaching it just erupted into a time of praise, worship and dancing with the children joining in. Three hours later we left the church to have a meal with Pastor Africano and his lovely wife Donna at a restaurant next to Lake Victoria. We were able to go down to the Lake and have a paddle!!! There were also some amazing and wonderful birds to be seen. We had a really good day today, there were 27 delegates and we expect another 10 to come. The Spirit moved right at the beginning. Pastor Robert brought anointed worship and prayed and lay hands on everyone for the release of the Spirit of wisdom and revelation. The delegates were all receptive to the Word and the teaching flowed as we followed the short course ‘Mountains and Mantles’. We know that God did a work in the lives of these precious people. A good base has been laid for them to receive revelation and whatever else God wants to do while they are here. It’s been another a great day, there is great joy and unity amongst the team. God is lifting us all up to a higher level, both team and delegates. We had amazing anointed worship this morning led by one of the delegates which led us into the presence of God. The teaching just flowed and was really strong and the delegates seemed to be getting hold of it. There was breakthrough in the groups too as everyone was eager to share, and there was an openness that has not been there before. All the delegates grasped the need to listen to the Holy Spirit before acting. One said they had wanted speakers and amplifiers at their church but now they are going to see what God’s plan was before they did anything. What an awesome God we have. We arrived today to find monkeys swinging from the trees, and there were several super cute babies too…it was a great joy watching their antics. Today started with a wonderful time of worship. It was very anointed and it seemed that Heaven had come down to touch the Earth. Pastor Robert saw the angels all around the room, the Banqueting Table was set and Jesus Himself was present. P Robert had a close encounter with Jesus and all else paled into insignificance. He was amazed at how freely available the Banquet was. The table was loaded with gifts, peace, joy, finance, healing, mercy, mantles and all the gifts of the Spirit…all was so easily available! Nothing was lacking. The presence of God was tangible, the ‘veil’ was very thin. The anointing was very strong on Robert and he taught for the rest of the morning. The teaching was amazing. In the afternoon the heavens opened and the rain poured down, it was so loud that we could hardly hear each other!! God has really been at work among the delegates. One Ugandan said that he has been so totally transformed that he will never be the same again. He had never heard the Scriptures expounded and explained so much before. We have had another tremendous day. 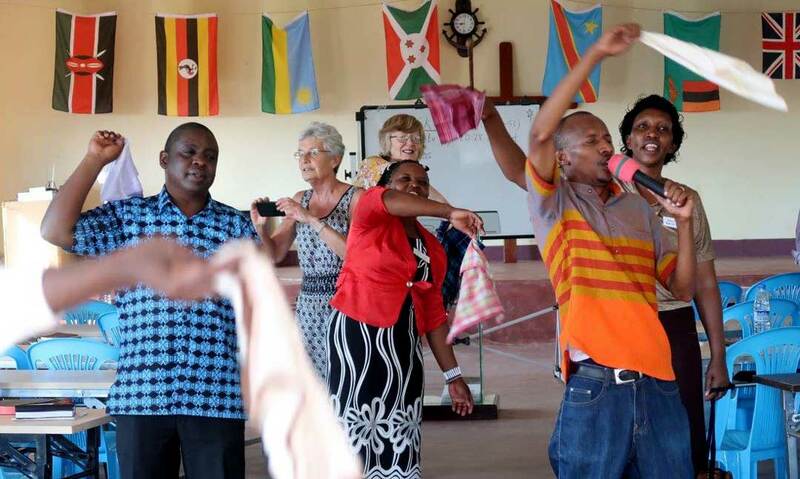 There was a real release of joy and freedom, particularly in the worship which was led by the Africans, with a real sense that we were together as one family and having fun, enjoying each other and God. It ended with everyone dancing round the room in a circle with the Africans carrying things on their heads to signify that they were leaving Egypt for good and starting a new life. One man put a chair on his head, another carried a bell!! This was followed by a good flow of teaching and the afternoon groups went really well. They are going from strength to strength and are full of life. We have reached the end of an amazing week. God has certainly moved in the lives of both delegates and team. The teaching was excellent. The delegates all prayed for each other and that was followed by more great teaching. Three people were baptised in the Holy Spirit which was very powerful, and followed by everyone running round the room with the flaming torch of the Gospel. At the end we prayed for each and every delegate. Many wanted prayer for revival in their churches and ministry and were ready to take back what they had received this week. The delegates expressed gratitude for what God had done and have been very open to receive. They have all been so encouraged, built up and changed. There has been such joy and unity amongst us all. This week we saw God move in power and we saw something of His Glory. There were signs and wonders following the preaching of the Word….mainly in lives changed forever by the Word and the Spirit of God.